Stick Fight: The Game Mobile is a mobile port of the popular multiplayer fighting game from Landfall Games (creators of Totally Accurate Battle Simulator and Clustertruck), which sees stickmen doing battle with lots of different weapons in delightfully silly physics based fights to the death. Previously only available on Steam, Landfall Games have now teamed up with NetEase to bring Stick Fight’s hilarious slapstick brawling to mobile devices. 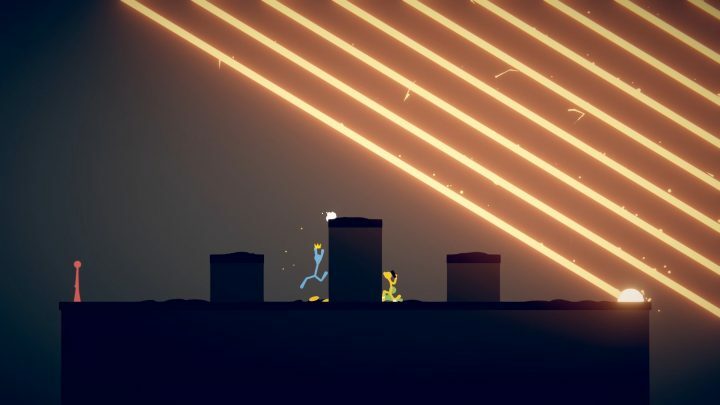 It features a redesigned interface optimized for touchscreen devices but other than that you’ll get pretty much the same experience as you do on PC – physics-based multiplayer stickman brawling for 2-4 players filled with randomly generated weapons and maps. The PC version of Stick Fight was a blast and Stick Fight: The Game Mobile allows you to enjoy some slapstick stickman battles on the go. As soon as you sign up you’re able to download the Beta on an Android device and it will be live until April 3rd 2019, so sign up now for some hilarious stick-on-stick multiplayer combat!